Executive Secretary Salvador Medialdea confirms Court of Appeals Justice Amy Javier is named Supreme Court associate justice. President Rodrigo Duterte has appointed Associate Justice Ramon Paul Hernando of the Court of Appeals as an associate justice of the Supreme Court. Hernando, a graduate of the San Beda College of Law, fills the vacancy left by Samuel Martires, who is now ombudsman. The new justice will reach retirement age in 2036. 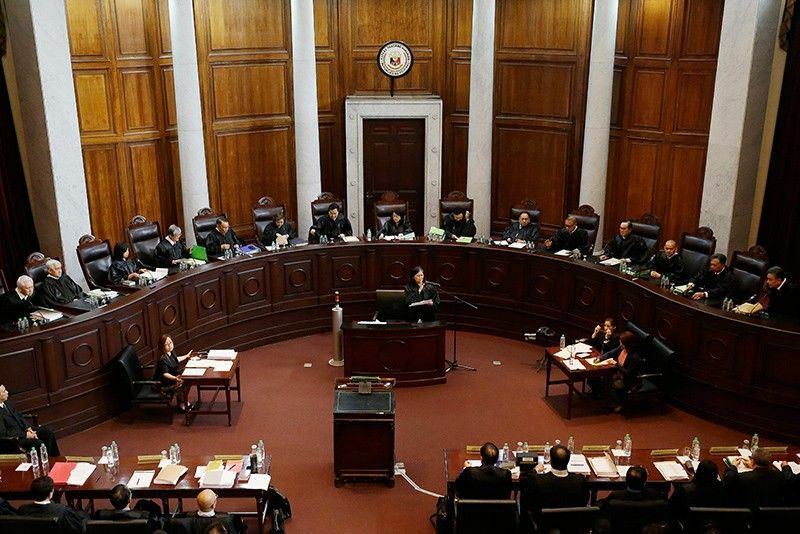 Court of Appeals Associate Justice Jose Reyes Jr. has been appointed to the Supreme Court, a presidential aide says. Special Assistant to the President Christopher "Bong" Go told reporters of Reyes' appointment and said the justice will take his oath on Monday. Reyes takes the seat vacated by Associate Justice Presbitero Velasco Jr., who retired earlier this week.